Xbox returns to E3 this year to give even more fans the chance of a lifetime! Win a chance to go to the biggest Xbox FanFest at E3 ever! All tickets are non-transferable and cannot be resold. Microsoft reserves the right to cancel, change or suspend this promotion at any time and may rescind any ticket awarded due to cheating, technology failure, or any other unforeseen issue that compromises the integrity of the drawing. FanFest ticket winners will be chosen by an online random drawing*. FanFest tickets will cost $45/each with all proceeds going to a deserving charity. All Guests will have to register separately. See FAQs for details. *No Purchase Necessary. To enter to win the chance to purchase a FanFest ticket, you must have an active Xbox Live account and Xbox Live gamertag, and be 18+. Entry Period ends 4/24/2019. For full details, see Official Rules. What are the dates of Xbox FanFest: E3 2019? 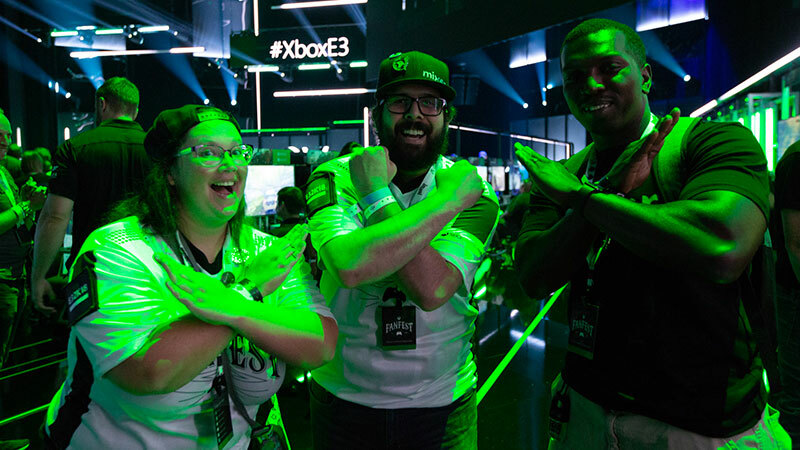 Xbox FanFest: E3 2019 begins on Sunday, June 9 at 9:00 a.m. PDT and ends Monday night, June 10, with fans then able to attend the E3 Expo Tuesday through Thursday. What is the date and time of the Xbox Briefing at E3? Xbox Briefing is Sunday, June 9, 1:00 p.m. PDT at the Microsoft Theater in downtown Los Angeles. Due to the tremendous demand for Xbox FanFest: E3 2019, an online random drawing allows us to streamline our ticketing process and still ensure all gaming fans have an equal opportunity to win tickets to the event of their choice. Who is eligible to attend Xbox FanFest? To be eligible for Xbox FanFest, each registrant must have an account on Xbox Live and an Xbox Live Gamertag and must be 18+ years old. Getting an account on Xbox Live is free. An Xbox Live Gold membership is not required to participate in Xbox FanFest. We will require a valid, government-issued, picture ID (driver’s license, passport), which matches the name on the registration, as part of the Xbox FanFest on-site check-in. Persons under 18 years old will not be allowed to enter Xbox FanFest. Xbox FanFest ticket winners are eligible for two (2) tickets: one for themselves and one for a Guest. What is the ticketing process if I win the chance to purchase an Xbox FanFest ticket? FanFest ticket random drawing winners are eligible for two (2) tickets: one (1) ticket to be purchased by the winner and one (1) to be purchased by their Guest. During their registration process, winners will have 24 hours to purchase their ticket. The moment they are registered, they will be prompted to provide an email of their Guest. Inviting a Guest is optional. If chosen, a Guest will have 24 hours the moment the email is sent from the ticketing system to purchase their FanFest ticket. Guests will be responsible for their own ticket purchase. If no Guest is registered after 24 hours, the unclaimed ticket is returned to the random drawing. What is the cancellation policy? Can I transfer my ticket to another person? All registered ticket holders will be informed of the cancellation window in their confirmation email. If I’m traveling to LA, will I be provided with hotel accommodations? Will the Xbox FanFest fans be able to go to E3 Expo like Xbox FanFest attendees did last year? Yes. 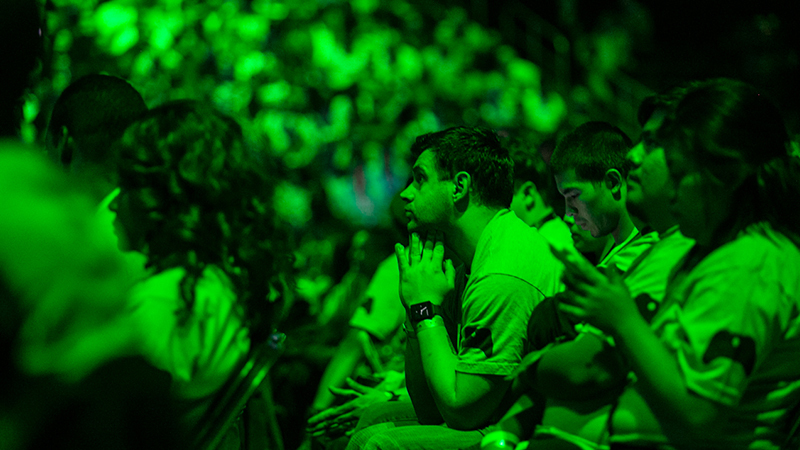 Xbox FanFest Tickets will include access to E3 Expo at the Los Angeles Convention Center. Do I need to have an account on Xbox Live? Yes, to enter you will need an official Xbox Live account and gamertag, email address etc. If you don’t have an Xbox Live gamertag, you’ll need to set up an account on Xbox Live and get one. An invalid, deleted or canceled Xbox Live account and gamertag will result in a canceled ticket hold. Sign up for an Xbox Live account here. What if my Xbox FanFest Guest doesn’t have an account on Xbox Live but is eligible to attend Xbox FanFest? *No Purchase Necessary. To enter to win a the chance to purchase a FanFest ticket, you must have an active Xbox Live account and Xbox Live gamertag, and be 18+. Entry Period ends 4/24/2019. For full details, see Official Rules.